MORGANTOWN, W.Va. – Surgeons at the WVU Cancer Institute performed the state’s first robotic Whipple procedure on Oct. 17. This procedure is used to treat pancreatic cancer and other tumors and disorders of the pancreas, intestine, and bile duct. 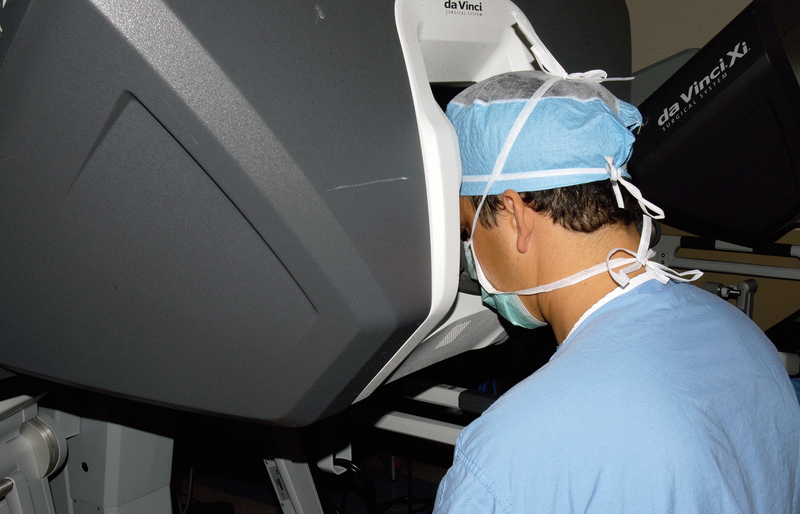 Brian Boone, M.D., uses the DaVinci surgical robot to perform a robotic Whipple procedure. “This is an innovative therapy for advanced cancers that needs to be done at a large, tertiary care hospital like WVU Medicine that has teams of experts in surgery, nursing, pharmacy, and other disciplines,” Carl Schmidt, M.D., surgeon in chief at the WVU Cancer Institute, said. “We’re hopeful that the robotic technique will allow us to perform the procedure with greater effectiveness and a better outcome for our patients,” Brian Boone, M.D., surgical oncologist at the WVU Cancer Institute, said.